The newspaper l'Express reported that Academie de Sciences commissioned an investigative report about the papers of former CNRS interim president Anne Peyroche, and that CNRS and the French Ministry of Research tried to suppress it. Peyroche herself could not be heard, because she is hospitalised since the affair started. So her co-authors took that as opportunity to blame Peyroche for every fake figure. Meanwhile, duplicated data was found even in Research Minister's Frederique Vidal's paper. The French research misconduct scandal takes a new turn. The newspaper l’Express reported that the French Academie de Sciences commissioned an investigative report about the papers of former CNRS interim president Anne Peyroche, and that CNRS and the French Ministry of Research and Education tried to suppress it. The report, which the newspaper made available and I copied and Google-translated, is very meticulous and damning in determining that research fraud has happened, and calls for retraction of Peyroche papers. Its only limitation was that Peyroche herself could not be heard, because she is hospitalised since the affair started, with PubPeer posts by myself and certain image integrity experts I work with. So her co-authors took that as opportunity to deny any knowledge and responsibility and blame Peyroche for every fake figure they were called to answer for. The Peyroche investigative committee screened all PubPeer evidence, requested original data and found even more of rigged figures. It recommends 3 retractions where data was excessively manipulated and goes as far as to declare undisclosed gel splicing to be a form of scientific misconduct, albeit of only stage I or II out of 5 stages, the highest being outright invention of research data. The independent investigators found several instances of Level IV though, of data manipulation with intent to deceive and to hide and to misrepresent the true scientific results. The bigger scandal here is: if same rules of a misconduct investigation were applied to the other French top official in CNRS bureaucracy, the chief biologist Catherine Jessus, a mass retraction of her papers and a sack for Jessus from public service would be the only reasonable consequence. While Peyroche (rightfully) met the full force of French research integrity, Jessus received a different service: a phony whitewashing report written by herself together with her friend and subordinate Francis-Andre Wollman, Chicken of Dishonour Legion and incidentally also member of Academie de Sciences (read here). That unsigned turd of a report by Sorbonne University declared duplications of gel band and other image fragments to be good research practice, while accepting the absence of all relevant original research data as something trivial and unimportant. After some French scientists dared to protest, over 500 of their senior peers, mostly from CNRS (including the past president Alain Fuchs) and several members of Academie de Sciences signed a Stalinist letter in support of Jessus and her data manipulations, while demanding the sacking of all traitors and whistleblowers, in particular the Le Monde journalist who dared to report on the scandal. And while Peyroche (rightly) faces some retractions, Jessus got away with some very embarrassing corrections, because the Committee on Publication Ethics (COPE) forbids retracting fraudulent papers without permission from research institutions, here Sorbonne University. Soon after, Jessus was prancing around with the big politicians, high CNRS and academia executives and Nobelist Jules Hoffman. If you think it is sick and wrong, the situation is even worse than that. The gel band copy-pasting Jessus is responsible for, was never found in Peyroche papers, and Peyroche was accused of second-highest degree of research fraud already. Yet it is something the other infamous French cheater, the plant scientist Olivier Voinnet, engaged in regularly. Incidentally, Jessus and her colleagues at the CNRS institute in Strasbourg recently absolved Voinnet of all suspicions of data manipulations and blamed his former right hand man, Patrice Dunoyer, whom they sent packing to his far away home island of New Caledonia. Voinnet’s current employer, the Swiss ETH, was pleased with seeing Voinnet largely exonerated and announced to me that there will be no further investigations into his publications and not further misconduct evidence can be ever submitted against him in the future. Now, Peyroche is in the hospital while the French science elites prepare a show trial, with her being fingered as the biggest fraudster in recent French history and about to be sacked by her employer Commissariat à l’énergie atomique (CEA), which requested the investigative report. Which brings us back to the l’Express article. Apparently, Peyroche was about to be sacked, but then the Minister for Research and Education Frédérique Vidal intervened. As my sources indicated to have overheard, same Vidal allegedly intervened before on behalf of Jessus, ordering CNRS to hush up that affair also. Also, my sources alerted me to this interesting gel duplication in a paper Vidal et al, J Cell Science 2011, the author Vidal being the current government minister for Research and Education. Even the Research Minister Frederique Vidal…. “Despite the seriousness of these conclusions, the CNRS and CEA directorates decided to bury the report of the Académie des Sciences. This attitude arouses anger and misunderstanding of some bigwigs from both organizations but also from the Academy of Sciences, usually very low-key, were staggered that one could sit on a report with such heavy accusations of fraud. According to our information, Daniel Verwaerde, the former deputy head of the CEA, the sponsor of the report, had decided to show Anne Peyroche the door. But his successor, François Jacq, recipient of the report by the academicians, did not follow this up. It must be added that Frédérique Vidal, the Minister of Research did everything to protect the offending researcher. For example, during a meeting at the ministry last spring, the minister specifically asked Daniel Verwaerde and Vincent Berger to suspend the ongoing sanctions, including the planned dismissal”. Somebody indignated now leaked that May 2018 report to the journalists. The first question I have is: why to l’Express, a newspaper which never so far reported much on Voinnet, Jessus or in fact Peyroche affair? Was it because the leaker hates Le Monde that much, for their reporting on all these topics, and particularly on the Jessus affair? If this is true, the leaker might be with CNRS or rather even a member of the Academie des Sciences, maybe even one of the organisers of the Stalinist letter? Let us not forget the investigators themselves say the report is not final, as Peyroche was not yet able to defend herself against accusations by her co-authors. The authors of the Stalinist letter, in bold. Then ~500 signatories followed. The investigative committee was chaired by the clinical immunologist and Academie des Sciences member Jean-François Bach, other named members were the neuroscience and epigenetics researcher Valérie Lallemand, the neuroscientists and molecular signallign researcher Joël Bockaert and genomics and cancer researcher Jean-Marc Egly. They were analysing Peyroche’s papers which were on the topic of yeast biochemistry, specifically protein folding and intracellular trafficking. Bach in his cover letter to the Academie des Sciences: “Let me mention, as usual, the volume of work done by the members of the committee: eighty hours by Valérie Lallemand and Joël Bockaert and one hundred and twenty hours by Jean-Marc Egly”. The Peyroche affair started with one PubPeer post, and exploded when some experts in research integrity I invited found more irregularities (see this article). My own posts were moderated by PubPeer (which two main founders are CNRS employees), and declared to be slanderous accusations based on misunderstood “compression artefacts”. Eventually, a retaliatory campaign started on PubPeer accusing myself of research misconduct and data theft, while one PubPeer post claimed I harassed Peyroche personally over the phone and caused her hospitalisation. This unsavoury post (eventually removed) was approved only 2 minutes after it was posted. Just before that, I was tweeting about Cordyceps, on unrelated matter. Commenters cannot pick their names, those are assigned by PubPeer. It seems the Academie des Sciences investigators disagree with PubPeer Watchdog assessment that there was nothing else but “compression artefacts”. The experts found many more data manipulations than reported on PubPeer, and determined “scientific misconduct” up to level IV, after they applied this scale for their analysis. Level 1. Embellishment is a term often used. It gathers in fact various faults and of variable gravity. It includes the addition or omission of parts of figures or the excessive choice of so-called representative figures when they are not. Level 2. Manipulation consists of using existing data, but presenting it in such a way as to give it an appearance that it did not originally have. A typical example is to collect figure elements from different experiments that make one believe that it’s the same experiment. Levels 3 and 4. Falsification consists of modifying some results, for example by removing a band in a gel or more generally by making significant changes to the raw data. Hiding results in positive or negative way to show the presence or absence of certain biomolecules in protein fractions is also a form of forgery. We propose to differentiate level 3 falsification that does not change the interpretation of a text figure or sentence, regardless of the overall scientific message, and level 4 falsification that corresponds to falsifications that alter the interpretation of the figure or text. Level 5. Manufacturing is the ultimate stage. It consists in creating de novo results that have not been obtained in the laboratory, whether whole experiments or parts of experiment. In addition, it should be remembered that the committee decided not to question whether the observed misconduct changed the general scientific message provided by the articles in question. This was not the question we were asked. This would be an expertise of a different nature. The report discusses each of the Peyroche articles flagged on PubPeer, I will present excerpts below. Peyroche A., Corbeyrette R., Rambourg A. Jackson C.
“C. Jackson assumes the editing of the figures was done “to show representative images of the results”. The figures were made by her”. “one can be astonished by this relatively complex assembly of protein profiles resulting from 6 cuttings. The fact remains that to repeat the gel migration experiment, followed by a possible Western-blot would have been much simpler and more convincing technically, especially since the starting protein material seems to be readily available”. Same splicing was found and criticised in Figures 2C-D and Figure 3A, in all these cases scientific misconduct was found at Level I /II. “The documents in our possession as well as the various auditions we were able to undertake, did not allow us to know if the editing was made from images from a single experiment or independent experiments. Jackson told us that this was a common practice at the time the paper was written. Inquiry was made, and to the knowledge of the members of our committee, this kind of practice was never done”. Catherine Jackson, who took the responsibility, was working in USA when this 2001 paper was made. She is now CNRS research group leader at Institut Jacques Monod at Université Paris Diderot. Maybe this is why the affair had to be contained, hence only Level II. Chantalat, Sophie, Régis Courbeyrette, Francesca Senic-Matuglia, Catherine L Jackson, Bruno Goud, and Anne Peyroche. Title: A Novel Golgi Membrane Protein is a Partner of the ARF Factors Exchange Geap and Gea2p. Also here the investigators found more than available on PubPeer, this paper was recommended for retraction. “It has been detected that a cache (framed red on illustration 5) has been added to mask the presence of the ATPase 60kDa in the well-visible P100 and S100 fractions. This cache is therefore a copy-paste as shown in the Pub Peer figure (top right). There is therefore a intentional masking patch on a Western blot which modifies the raw data, namely that the ATPase is not present exclusively in the P13 fraction and does not coincide with Arf2. C. Jackson and S. Chantalat say they have not noticed these maskings and that they disapprove”. “Catherine Jackson, auditioned on February 21, 2018 indicates that it was Anne Peyroche who began this work, under her direction at the end of her thesis. The job was to look for multicopy deletions of mutations in gea1 and gea2. With C. Jackson being part of the USA (NIH) for 5 years, it is Sophie Chantalat who finished this work under the direction of A. Peyroche. It was part of her thesis work. According to C. Jackson, it would be A. Peyroche who would have prepared the figures and would have begun writing. The hearing of S. Chantalat on April 16, 2018 confirms that this work was started by A. Peyroche and that she finished it under the direction of A. Peyroche. She testified that the figures below, which are problematic, were not prepared by her”. There were other instances of misconduct. A spliced western blot in Figure 8B (over-contrasted, to remove traces of splicing) contains 4 lanes, but is made out of 3 fragments, where we are to trust authors that the originally rather chaotically arranged gel lanes show what the authors labelled them as. That was Level II misconduct. “the final figure is a patchwork of spots, taken from several experiments, as also concludes S. Chantalat. Jury question to S. Chantalat: “Do you think this way of doing things is common? S. Chantalat.-“Of course not. I did a lot of dilutions of this kind during my thesis and it would not occur to me to do it. It’s so simple, it’s basic. We only do this on one box to compare. We do not break a dilution”. In Figure 6, same thing happened as in the previous paper: cells were collected from different images and assembled into one field, to make reader believe they were found next to each other in a group. The published image suggests these cell populations were representative, but of course we do not know how rare such cells were in reality, compared to the general cell population stained in this experiment. Also here, the investigators only found Level II research misconduct. Benoit Le Tallec is tenured researcher at IBENS-CNRS, same institute in Paris where one of the two PubPeer founders works. That and another Le Tallec paper from Peyroche lab became the subject of fierce moderation by PubPeer, who then used signed and anonymous commenting to declare the evidence as “compression artefacts”. Now this horribly fake paper was recommended for a retraction. This is a bit inconsistent, since previously Le Tallec did not deny towards Le Monde his responsibility for those same offending figures, and spoke of having applied “cosmetic” improvements to them, whatever he meant by that. The new stance by Le Tallec is understandable though, because his two Molecular Cell papers are a disaster, and PubPeer posts by my readers provide ample evidence to that. The investigators even found more. In Figure 3 however, which was much discussed on PubPeer and declared by the PubPeer moderators to be “compression artefacts”, the investigators found many different versions and degrees of fraud. The splicing in this figure was rated as Misconduct Level I /II, but the fraudulent presentation of an a3-HA gel band from an anti-myc IP as if it belonged to the IP a3-HA was rated as Misconduct Level IV. “Several figures in this article show proteins analysed by Western blot from total cell extracts, immuno-precipitations or fractions obtained after separation on gel filtration. Many are copied and pasted”. The big fat double band of the original gel (box, right) was digitally masked in the final figure (box, left), which got rated Level II /III, while “Barrault and B. Le Tallec say they did not notice the manipulation”. Same Figure 3C contains one western blot which was used for two different proteins, Ump1 and POC3. This was rated Level IV. “B. Le Tallec says, “I did not notice this when I corrected the figures,” “By the time things appeared out on PubPeer, I checked the article, and when having seen that, I wondered how it was possible not to have seen it. ” ” When I saw that, I was rather shaken”. “This manipulation would like to highlight the lack of maturation of the proteasome in these poc4delta strains. Not only is it a mixture of 2 different experiments, but in addition the glued strips do not correspond to the same yeast strains. Indeed, these 3 bands come from the gel filtration analysis of the POC3delta strains”. This all was allegedly done by Peyroche herself, because as Le Tallec indicated, his contribution to his own PhD degree was most definitely not doing much of any actual lab experiments or writing any papers and maybe also not even his PhD thesis. He declared that he had that humble female assistant, Madame Peyroche, doing all those experiments for him, while he was probably busy on Playstation, having a beer or travelling the world. What a alpha male this Le Tallec is, woof woof from all of us! That was valued as Level II / III. Benoit Le Tallec, Barrault Marie-Benedicte, Raphael Guerois, Carré Thibault and Peyroche Anne. First author: Le Tallec B. “This article as the previous one contains many manipulations / collages / assemblies. MB Barrault who was the master of the purely biochemical part, tells us, transmitted to A. Peyroche the raw data (western-blots identifying the various proteins eluted by gel filtration). The latter was busy doing the tricks, a step in which MB Barrault was not involved”. This paper was also recommended for a retraction. Here, Figures 2A and 2B were described as “numerous collages”. Figure 2E reused data from the Figure 3C from Le Tallec et al Molecular Cell 2007, while the fraction numbers and positions of molecular weight markers were altered between these two figures. 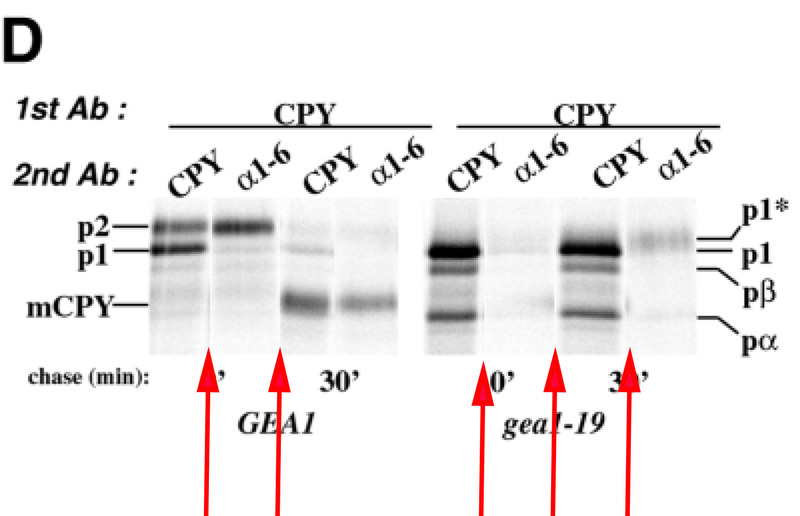 The manipulation of elution profiles rendered the presented results of co-elution of two different proteins in same gel fractions as not credible anymore. That earned the authors the Level IV of research misconduct. That spliced Coumassie gel above was already flagged by my readers on PubPeer. The investigators found more. Like this Figure 5D here, which was certified as Level IV of misconduct. Images of dilutions of one yeast genotype are duplicated, or even triplicated in different context to stand in for a different yeast genotype. For the Figure 6C, the yeast colony images proved an “assembly”, with original image data missing. The western blot in same figure was an assembly of tracks also, with the conclusion that “None of them reflect the original results“, misconduct Level III. Needless to say, these two Molecular Cell papers, which he now claims to have almost barely anything to do with, because others were doing experiments, assembling figures and writing his papers, these two papers in an elite journal certainly secured Le Tallec his present tenured researcher position which many qualified scientists covet in vain. And it is not even likely they will be ever retracted or even receive Errata. The mothership Cell is known to accommodate its questionable authors, including Voinnet. Barrault Marie-Benedicte., Nicolas Richet, Chloe Godard, Brice Murciano, Benoit Le Tallec, Erwann Rousseau, Pierre Legrand, Jean Baptiste Charbonnier, Marie Helene Le Du, Raphael Guerois, Francoise Ochsenbein and Peyroche Anne. Francoise Ochsenbein is group leader at Institut de Biologie Intégrative de la Cellule, which is also part of CEA. She declared “her responsibility as an author correspondent concerned only the structural part”. There were other issues, already flagged by my readers on PubPeer. The report addressed those as well. On the spliced Coumassie gel in Figure 6B, the experts awarded Level I / II of misconduct and suspected that “in view of migration patterns, it seems that this comes from several gels and / or perhaps from different experiments“. The yeast colony assay was spliced also, with colony pictures pasted in, “suggesting that these experiments were not performed under the same experimental conditions“. That was Level II of research misconduct. “Many misconduct marks were found in the five offending articles. The anomalies found were of variable severity depending on the figures and articles, ranging from embellishment to forgery altering the interpretation of the data. The findings of the hearing panel are consistent with those made by the panel of foreign experts, with the understanding that the Hearing Panel considered a larger number of figures than these experts had done. An essential point was to hear the authors of the articles to give them the opportunity to explain the anomalies observed and to listen to their answers, particularly regarding their personal responsibility. The five authors interviewed, who were either first-time authors or corresponding authors, independently and controllably on the records, said that the responsibility for the figures fell entirely to A. Peyroche, with the exception of Cathy Jackson in 2001 article of which she is the author. They all said that they had not followed the figure assembly throughout the process of preparation for publication and only noted as a surprise the anomalies observed in the dissemination of the allegations of PubPeer. We must mention that we could not listen to the version of A. Peyroche, which could leave some doubts about the veracity of the statements of the coauthors. The problem is whether some of these items should be subject to erratum or retraction. This is, in the opinion of the Hearing Panel, the case of the articles of 2003, 2007 and 2009. In conclusion, there seems little doubt that improperly acceptable misconduct was committed in the drafting of the five incriminated articles. The partial or total responsibility of Mrs A. Peyroche is clear, even if one wonders how the first authors or corresponding authors had had such a furtive look at publications in which they had a major responsibility”. Why should CNRS have all the fun? I hope there will come more investigations. A clean up is highly needed, including kicking out leaders at French research institutions. Politicians must take action. 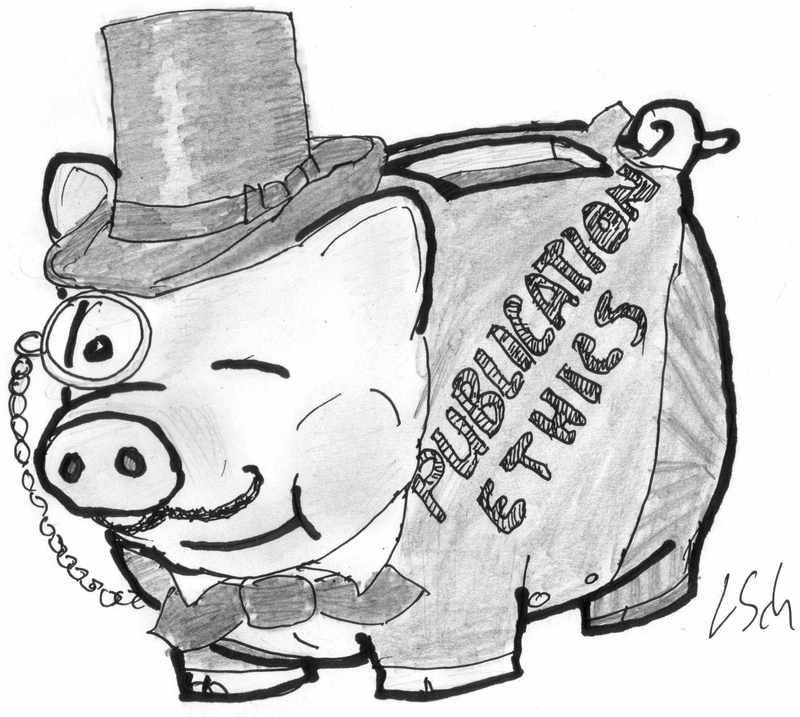 The problem with research misconduct must be raised to a higher level. It is very costly for the society and will have a deep negative impact in the oncoing development of drugs and patient safety. They used to call Laplace the Newton of France. Is the Institut Gustve Roussy the ICR of France? Whoo. Your post is ultra-violent toward people that were working under the supervision of Anne Peyroche. Why that? Did you contact them? Did you get their version and feeling of the affair? Have you interviewed their entourage to determine how they lived all this, since the Pubpeer revelations, and before? You seem to systematically take comments from the report of the committee or from other journal articles, but did you check if they indeed confirm what has been reported as their allegations? I am wondering this because, from my point of view, a good journalist is, like a good researcher, only concerned by being as close as possible to the truth, which is the way for better science. And, as very concerned and sensitized by unappropriate PI authority, I am wondering if you believe to be close to the truth with your allegations. if yes, could you detail why you discarded other possible alternative hypotheses? Many thanks for your answers. You might ask the main French newspapers the same questions. They felt happy to publish. Yeah, but this figure has nothing to really deal with the pertinence of the paper. Just another quadruple-check among tons.. The accusations are irrelevant, but to mainstream audience until somebody reproduce the according experiments (unless they don’t want to work enough during their week-ends, haha…). But I am sure that easy attacks of such won’t mislead REAL scientists (at least too long) otherwise… Well..
Don’t know for Peyroche, but my previous comment was concerning Frédérique Vidal’s paper. In her case, fraud (which first need to be proven more precisely) or not, the figure does however not really impact the integrity of the “manipes” / experiences. Anyone can tell by simply reading her article. What do you think about the primacy of the data? @Zebedee, What do you think about the primacy of the interpretation ? Again, the paper is far from being centered around this figure. I hope the figure was not ripped, because it would be stupid, given the quality of the paper. And ridiculously way not matching how serious this research unit has always been, specially almost 20 years ago and, believe it or not, still a heavy rigor reference in this field. Vidal is more a political than a scientific target these days. But the political attacks are now impacting integrity of more and surrounding great scientists that always did the job. Please keep this in mind / put yourselves in their shoes for real science, thanks for them. Frédérique Vidal is trying to stop the numerus clausus for medical studies. Numerus clausus is the only way to avoid nepotism for medical student selection. One can relate general cheating in medical sciences to this attitude that the end justifies the means.